18th January 2018. Dundalk Ireland. The 19th annual Northern Ireland Healthcare Awards take place at the Europa Hotel, Belfast on Thursday 22 February 2018. The Awards are dedicated to celebrating those whose exceptional expertise and contribution to their profession have transformed the provision of healthcare for the better. 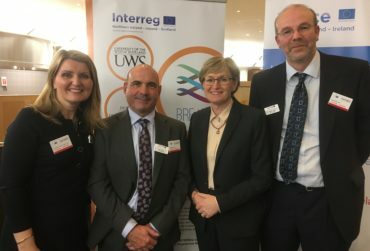 The BREATH project will develop cross-border research to better understand and alleviate the impact of Chronic Obstructive Pulmonary Disease (COPD). 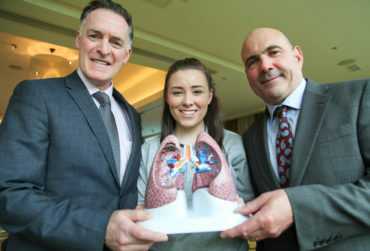 COPD is an incurable lung disease that is a leading cause of death worldwide, and is particularly prevalent in border regions of Ireland and Northern Ireland, as well as in South West Scotland. In Ireland, 264 per 100,000 hospital admissions are COPD-related, which is significantly higher that the EU average of 200[i]. The illness is proven to dramatically impair quality of life for sufferers and has a high cost to health services and the wider economy. 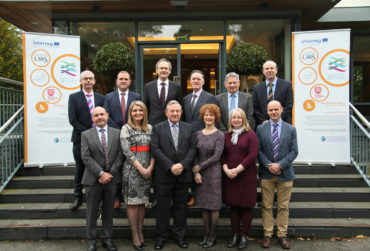 The €7.7 million EU INTERREG VA funded BREATH project has established a world-class cluster of researchers who will help address the causes, treatment and potential prevention of COPD. In 2011 the annual economic burden of COPD across the EU was estimated at approximately €141.4 billion. Throughout the five year project, over 30 researchers and doctoral students will work together not only to better understand COPD but to raise awareness of the disease to help encourage preventative measures and timely treatment and disease management. [ii] http://irishthoracicsociety.com/wp-content/uploads/2017/05/Lung-Disease-in-Ireland-December-2013.pfd-accessed 26th October 2017.